What do you think about Autonomous/Connected Vehicles? 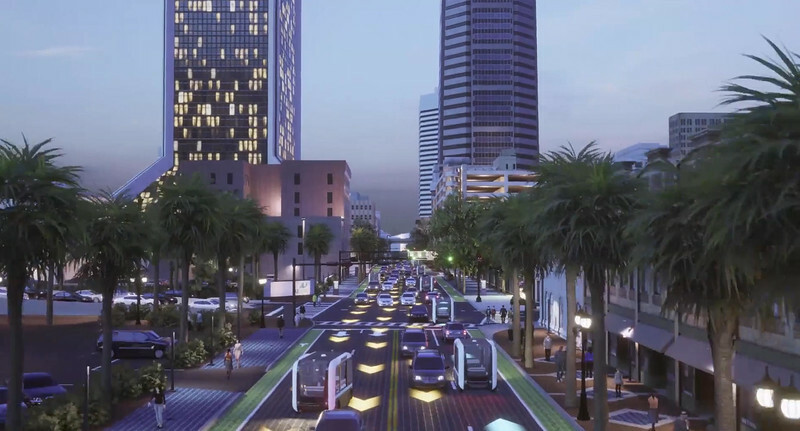 The Jacksonville Transportation Authority (JTA) has banked its future on autonomous and connected vehicles, even going as far as planning to replace the existing Skyway system with smaller, slower moving driverless vehicles. Are you excited or skeptical? Here's a chance for you to express how you feel about this, the future of transit and autonomous/connected vehicles in general. For previous coverage of the Skyway plans by The Jaxson, see here and here. 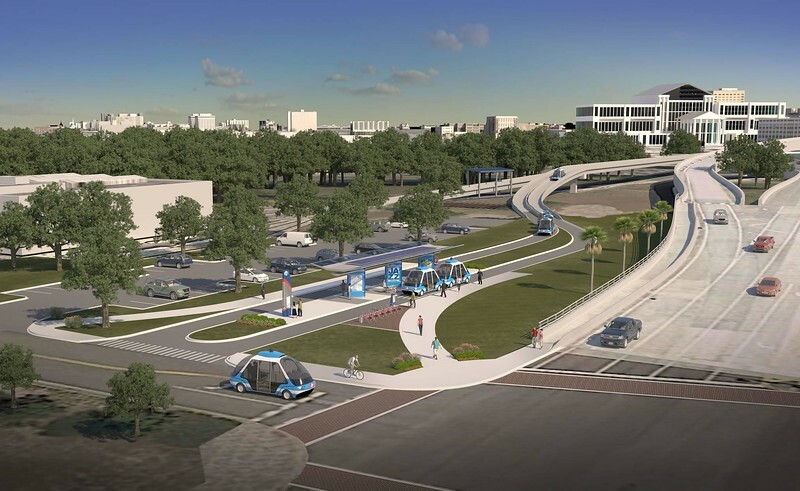 JTA plans to replace the Jacksonville Skyway with a system of autonomous transit vehicles that would possible travel on streets with regular traffic at 25 mph to connect downtown with adjacent areas. This map overlays the existing (red lines) and proposed (red dashed lines) Ultimate Urban Circulator (U2C) and urban core census tracts by 2017. It exposes a potential concern with current routes in that, like the Skyway, they may not extend as deep into areas where urban core residents live. The lack of density in the downtown area also means even if major developments like the Shipyards and The District are fully built out, the downtown core will still have significantly less population density than historic neighborhoods outside of it. A group of researchers from the University of Florida Transportation Institute (UFTI) and the Department of Urban and Regional Planning are conducting a study to understand the users’ perception to autonomous and connected vehicles (AV/CV) and how they are preparing and adapting to this new era of automated transportation systems. This study is funded by Jacksonville Transportation Authority (JTA) and conducted by the University of Florida (UF) under the supervision of Dr. Sivaramakrishnan Srinivasa, Associate Professor of UFTI and Dr. Ruth Steiner, Professor and Director, Center for Health and the Built Environment. As part of the study, we have created a survey that emphasis on the benefits and consequences of the implementation of AV/CV in Jacksonville, Florida. The survey includes geographic maps indicating potential places where new initiative can be deployed according to the public’s perceptions and needs. The study also tries to understand what transportation services are currently missing in the Jacksonville area. 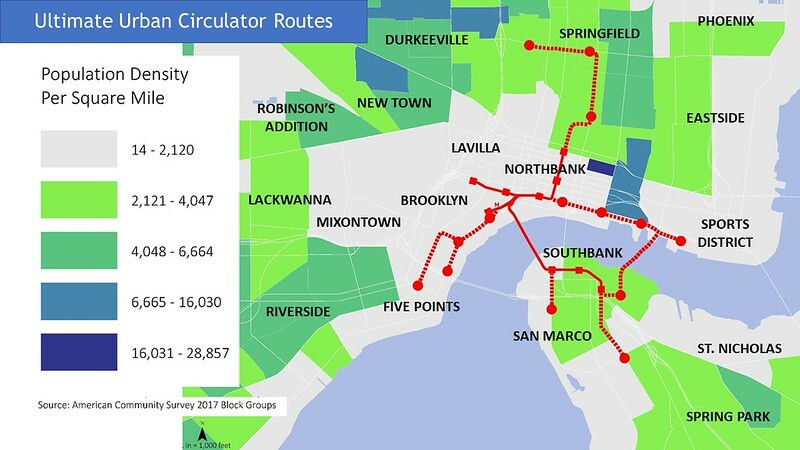 The feedback obtained from participants would help transit agencies and transportation experts prioritize strategies and initiatives to enhance the transportation network efficiency, mobility, accessibility, safety, and equity in Jacksonville, FL. We appreciate your participation in this study. None identifiable information will be collected and/or shared with any third party. Only the UF and JTA researchers will have access to this information. Strong encryptions and security methods will be used to protect your responses. The survey will take approximately 15 minutes to complete. There is no risk involved in responding to this survey. However, if you are responding to the survey with a mobile device, remember not to do so under conditions where distractions could cause you or others harm. There is no compensation for participating in the survey. You will not have to answer any question you do not wish to answer. You are free to withdraw your consent to participate and may discontinue your participation in the survey at any time without consequence. Qualified participants must be 18 years old or older and must reside in Jacksonville FL. People who do not meet both of these requirements will be excluded from participating in the survey. A conceptual rendering of the U2C on Bay Street.